You depend on your furnace to keep your home or business comfortable and under control. When something goes wrong, you need a service that provides top-quality work and dependable results. ComfortMaster has been providing exceptional service, skill and products to Hudson Valley for more than 19 years, and we’re proud to bring industry-leading products and projects to your doorstep! We install and replace electric furnaces and gas furnaces. Need a furnace replacement that you can count on? Contact the specialists at ComfortMaster today to learn more about how we can help you best! You can reach us online any time, any day! Unfortunately, there comes a time when your furnace has overstayed its welcome, and simple (or even complex!) repairs are simply not an option. When the time comes for a new furnace installation, ComfortMaster is there for you! We offer exceptional furnace options provided by industry-leading manufacturers, to be sure you get the furnace and quality you deserve. Age. The biggest and most common factor we encounter is the sheer age of your existing furnace. 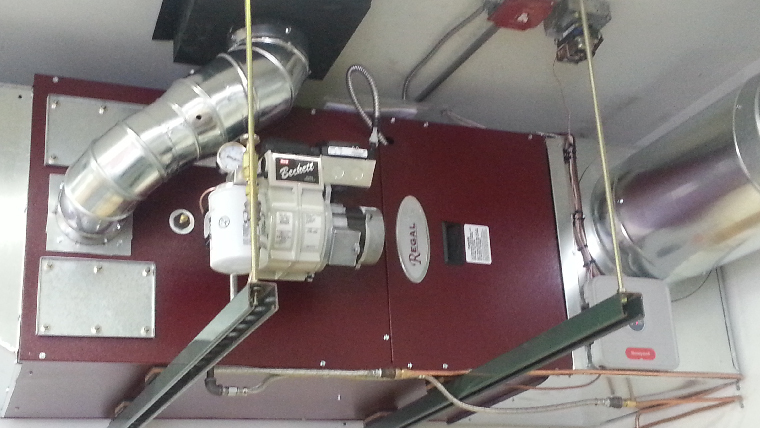 You can generally expect fifteen years of faithful service from your furnace, provided that it is properly maintained. A prudent homeowner will begin shopping around for a furnace replacement a solid year or two before the fifteen year mark, to ensure they get the best performance available. Excessively frequent repairs. Feel like you’re dumping too much into furnace repairs? Odds are, you’re right. If it needs extensive repair beyond basic maintenance yearly, it’s in your best interest to seek a new furnace installation. Spikes in utility costs. If your system seems less efficient than it used to be, or your utility costs seem to be skyrocketing with no obvious reason, your furnace may be reaching the end of its life. Odd sounds. A little background noise is normal, sure, but if there’s some clanking, banging or wheezing coming from your furnace, it’s time to get it looked at. A simple repair job may get things on the right track, but replacement might be a better option. Noticeable air quality loss. If your home seems dry and dusty more often lately, it might not just be a lack of home care. Older and faulty furnaces lose their ability to filter and clean the air, resulting in a massive drop in air quality. This can lead to some noticeable health risks, and should be addressed right away! If you have any of the problems listed above, but feel you’d still rather deal with them until old faithful goes kaput, consider this. The average homeowner that depends on an old and suboptimal furnace spends thousands a year in maintenance and heightened utility costs. The reduced efficiency of an older unit can account for a huge spike in your heating costs. In order to save the most, and feel comfortable in your home or business while doing it, pursuing a complete replacement is really the best option. Whether you have a brand new home and need a new furnace installation, or you’re replacing an old one, we stand strong by our ability to provide you with unique solutions that suit your needs! Count on the professionals at ComfortMaster to bring only the very best in quality, both in products and skill. Contact us today to learn more about our furnace replacements, or other services!